Billions of dollars are sent to the State of California for Forest fires that, with proper Forest Management, would never happen. Unless they get their act together, which is unlikely, I have ordered FEMA to send no more money. It is a disgraceful situation in lives & money! 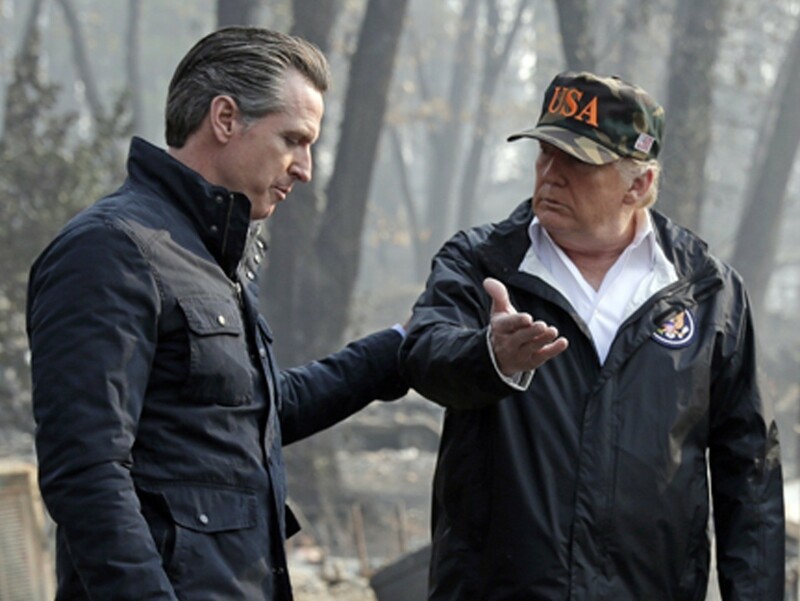 California Governor Gavin Newsom is fighting President Donald Trump over funds to assist with the recent wildfires in the state, after the newly-installed governor used his inaugural address to attack the president. On Monday, Newsom took the oath of office and then delivered a fiery speech promising to “offer an alternative to the corruption and incompetence in the White House.” It was a gratuitous swipe at Trump that made headlines and seemed to backtrack on the progress the two made during Trump’s visit to wildfire-stricken regions in November. Amidst criticism that Trump’s rebuke showed insensitivity to the victims of ongoing fires, as well as first responders battling the blazes, the president subsequently made an extra effort to show his support for the state during the fires. Newsom joined then-Gov. Jerry Brown in welcoming the president on a tour of Paradise, California and other areas.